IMPORTANT: penguin template will be slightly modified from the images used in this listing. Please note the beak has been modified/simplified to make it easy to assemble and there are no black seed beads used on eyes--if you'd like you can always purchase some at a craft store and attach. You'll receive a printable digital pdf template and assembly instructions; you will not receive a fully assembled, physical box. 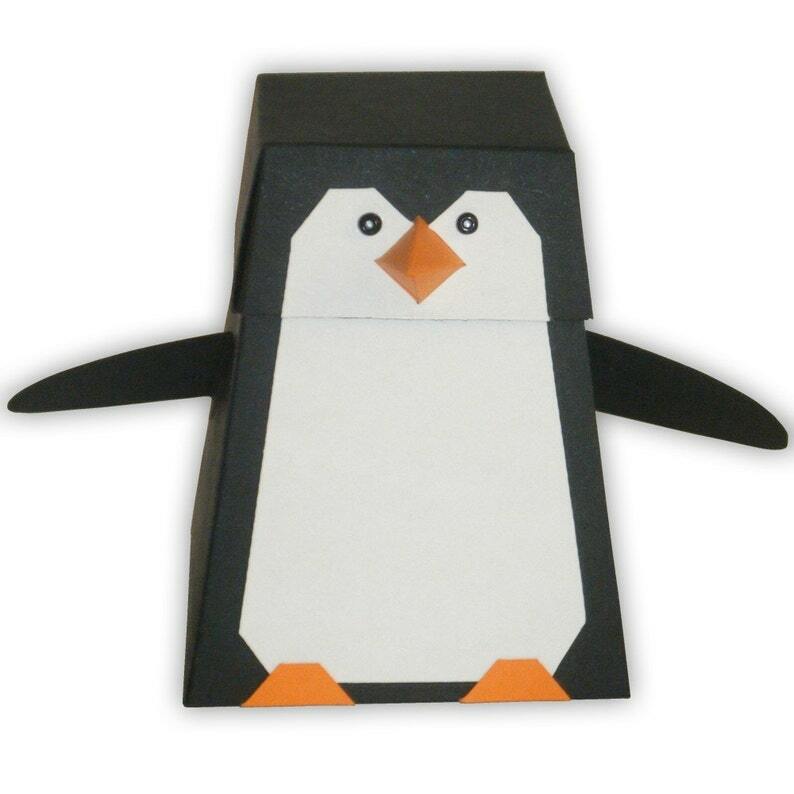 Our penguin favor box is as flightless as the real thing! How's that for realism? Guaranteed not to hatch evil plots like the villainous Danny DeVito version from the Batman movie.